New York: E-commerce will drive record holiday shipments this year for FedEx Corp, the world’s number two package delivery company said on Monday. Retail goods such as apparel, consumer electronics, luxury goods, books and other items from large, Internet retailers will account for a large portion of holiday volumes, the company said. 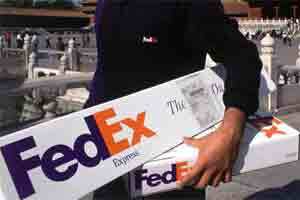 FedEx said it will add about 20,000 seasonal workers to help handle the volume surge. It expects to move more than 17 million packages on 12 December, the projected busiest day in company history, more than double its average daily deliveries. That would top last year’s record 15.6 million shipments on 13 December. As recently as 2005, the company’s peak shipping day was below 10 million packages.